We know everyone is busy getting their last minute grocery lists together and starting to prep for THE day where you eat, and eat, and eat! 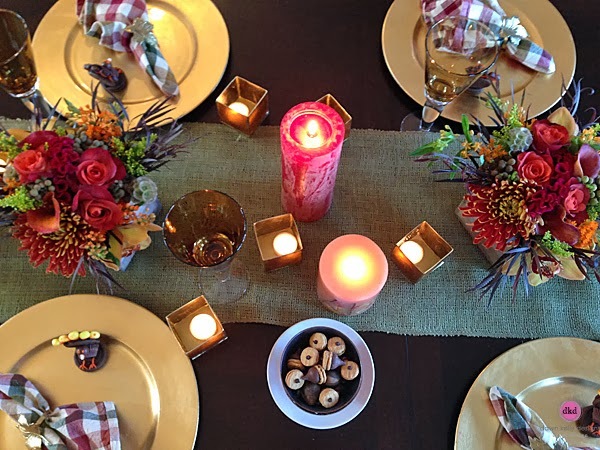 We wanted to give some last minute inspiration for you Thanksgiving Table. 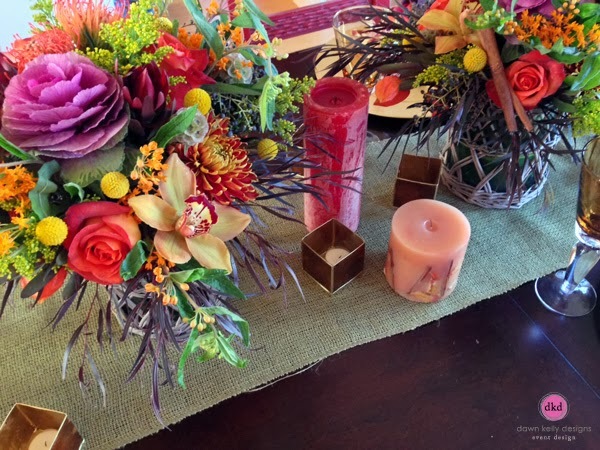 We did up four different centerpiece ideas that work no matter how big or small your space is. First up - loads of candlelight. 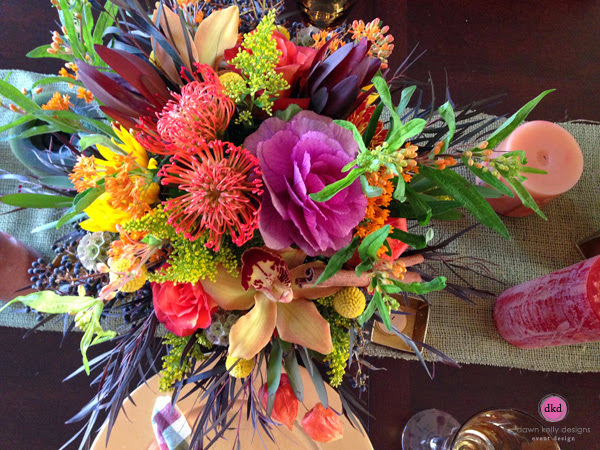 Some people can't have blooms at their table because they are allergic or they just don't have enough space. 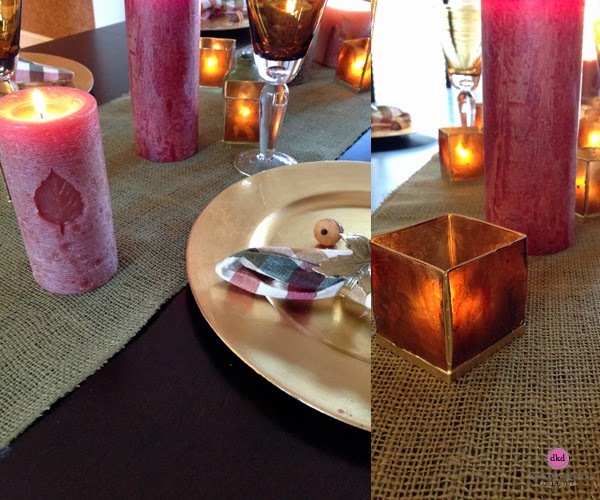 Here, we layered the table with loads candlelight. Chunky pillar candles in different colors and sizes and some fun square shaped shell votives in an amber color give a fabulous glow. 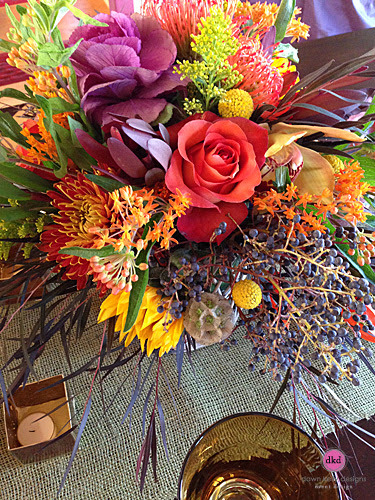 Next up, for the flower lover - treat you and your guests to Mother Nature's eye candy. 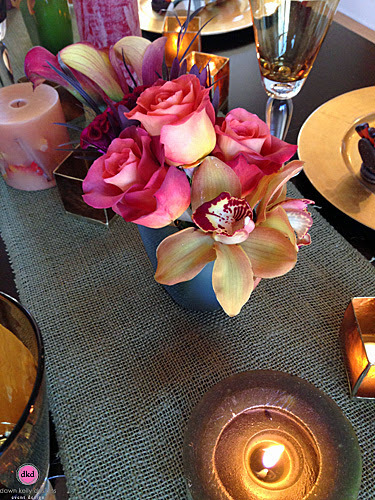 Keep things harmonius by sticking to colors that all blend together and go easy on the eye. 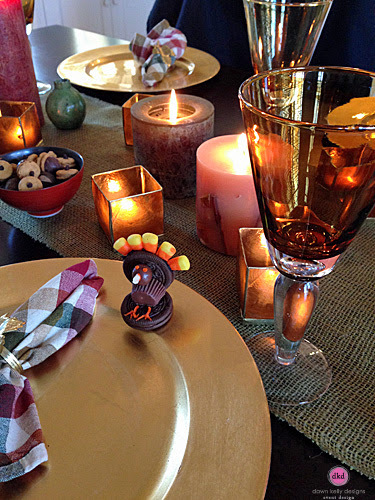 Stay away from flowers with fragrance since this day is all about the turkey and pumpkin pie! If you need room for serving dishes, these wooden cubes are the perfect size to fit in between food dishes and stay well below eye level to keep the conversation flowing. If you are a city dweller space is a commodity! 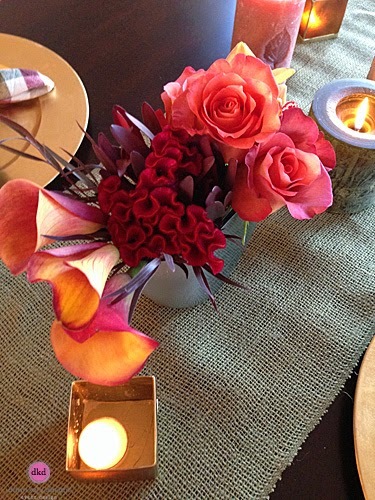 A modern, small design still packs a lot of punch with blooms like callas, orchids, roses, and celosia. 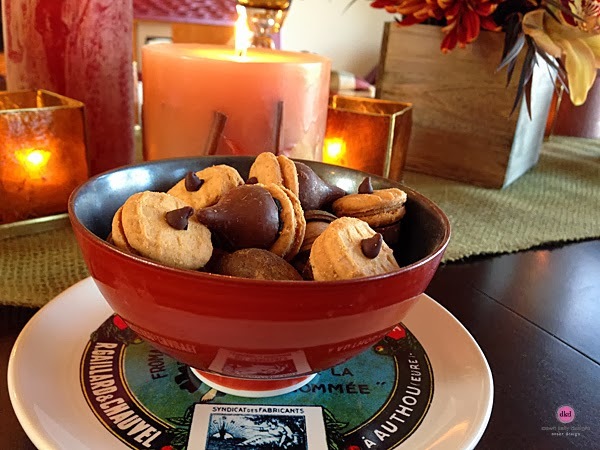 If you are feeling adventurous you can even whip up some of these fun candy creations. We've all seen them on Pinterest, and I thought I'd try them out. I have to say, the turkey's are not as easy as they look. Fun to put together, but they take a little time. The little acorns on the other hand, you can whip up a dozen in under 10 minutes. 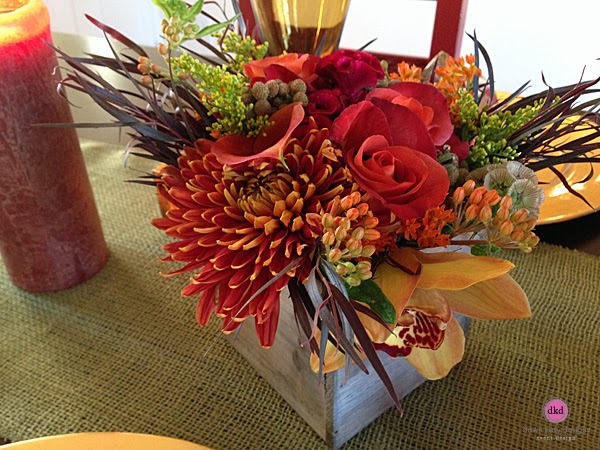 Put one of these at each place setting with a name tag and your guests are sure to feel the love. Whatever your style, have fun as you pull your table together for your nearest and dearest.